NEWTON FALLS — Mildred Jean Bartek Reider, age 84, of Newton Falls, passed away peacefully into eternal life on Monday, Dec. 3, 2018, at the Country Club Rehabilitation Campus at Newton Falls. She was born on Dec. 4, 1933, in Cleveland, the daughter of the late George and Elizabeth Bocan Bartek. Mildred married the love of her life, Harry E. Reider Jr., on July 22, 1952, and they enjoyed 66 blessed years of marriage together. She and Harry were born and raised in Newton Falls, moved to Austintown to raise their family and retired in Newton Falls. Mildred spent the last year of her life as a resident at Country Club Rehab campus in Newton Falls. The staff was very fond of Mildred, and despite having ALZ disease, she continued to display her witty and charming personality. One of her passions was gardening, she graduated from master gardening school at Mill Creek Park. 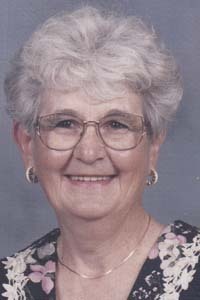 She worked at Riverview Golf Course, planning and maintaining the flower beds for many years. Her other passion was her love of golf. One of her highlights of her golf career was making an eagle on a par 5 hole at Riverview. She and her husband traveled in their retirement years throughout the country on many golf vacations. The highlight was playing at Pebble Beach. Most precious with her was time spent with her grandchildren and great-grandchildren. They brought much joy to her heart. Mildred was a member of the SS. Mary & St Joseph’s Catholic Church and spent many years as a parishioner of St. Joseph parish in Austintown. She had a very strong faith in Christ her Lord, and she used her faith to always make others smile or lend a helping hand. She was also a longtime member of the Youngstown Cursillo and a member of St. Joseph (Austintown) Choir for many years. She is preceded in death by her parents; two brothers, George and Ray Bartek; her in-laws, Harry and Violet Reider; sister-in-law Mary Kennedy Bartek; brother-in-law Rodney Reider; and sister-in-law Joann Geaman Reider. Mildred is survived by her husband, Harry Reider of Newton Falls; her daughter, Carol S. and Gary MacDonald of Sturgis, Mich.; her two sons, David E. and Monica Reider of Cleveland, and Kevin J. and Tonette Reider of Sharpsville, Pa.; her one sister, Betty Ann Bopp of Kalispell, Mont. ; her five grandchildren; and two great-grandchildren. Funeral services will be held at 1 p.m. on Monday, Dec. 10, 2018, at the James Funeral Home in Newton Falls, with Father David Merzweiler officiating. The family will receive friends for calling hours two hours prior to service time from 11 a.m. to 1 p.m.
She will be laid to rest at Newton Falls Cemetery. In lieu of flowers, the family asks that donations be made to Alzheimer’s Foundation of America, 322 Eighth Ave., Seventh Floor, New York, N.Y. 10001 or Dementia Society of America, P.O. Box 600, Doylestown, Pa. 18901. Arrangements have been entrusted to the James Funeral Home, 8 East Broad St., Newton Falls, Ohio 44444; 330- 872-5440.